Download and Install the new Pixel Launcher from Android P: The launch of the first Dev Preview of Android P has not only triggered an avalanche of discoveries in the form of features and small changes. In parallel, they have already managed to extract the native application launcher from the new version of Android. 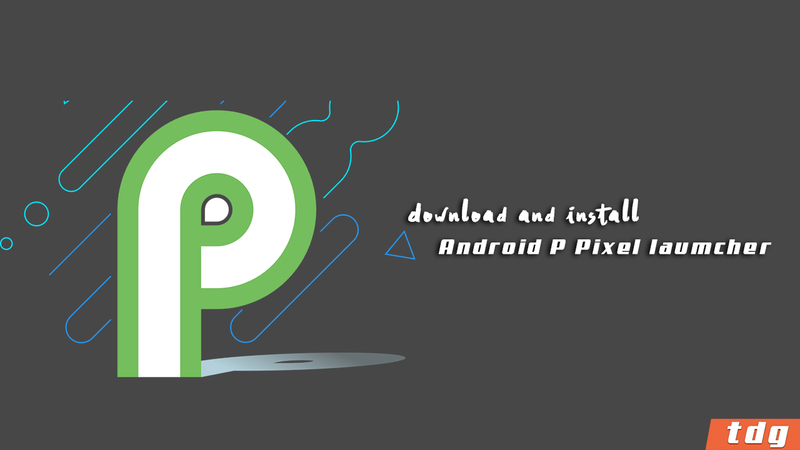 So much so that it is now possible to download and install the Android P Launcher Pixel. Only a few hours have passed since Google launched the download of the Android P Dev Preview for the Pixel and Pixel 2 smartphones, Soon after, the news has not stopped for a single moment. Among these new features is the Android P Pixel Launcher, which is already available unofficially for download and installation on other Android smartphones. We tell you all the details. Although it does not present major changes regarding the Android 8 Oreo app launcher, it is the least significant that the developers have already managed to extract from the Android P update their launcher. As echoed from Droid Life, the download and installation of the Android P Pixel Launcher are now available to anyone who wants to try it. You just need to download the apk file from this link and proceed with the guided steps of your installation. During these, we can verify that it does not require special permits for its operation. Of course, you must take into account that the Android P Pixel Launcher works under Android Oreo, but not in smartphones with Android Nougat. That at least in the tests we have done in TheDroidGuru previously to verify that the app works correctly. Likewise, the background curtain reveals slightly the superimposed wallpaper, as well as the icons of direct access to the option to set wallpapers on the home screen, widgets and home settings. In this sense, and in view of the fact that they are apparently not accessible, it could be a failure of the Android P Dev Preview Beta. Another apparent change is the division of apps in the launcher itself, where there are two columns to distinguish personal and work apps.